United way of williams county is committed to serving our community and giving it the tools it needs to thrive. outside of the agency programs we fund, we also have internal programs that support Williams County. Did you know? ANY child living in Williams County under the age of 5 is eligible to receive a free book a month mailed right to their mailbox (and in their name!). Start your child out right by reading to them with high-quality books from the Dolly Parton's Imagination Library. Find out more here! When individuals want to change their circumstances, financial hardship can be a heavy burden on making a better life. The We Care Cabinet provides area food pantries with personal care items such as toilet paper, deodorant, soap, toothbrushes, toothpaste, etc. to give that extra boost to individuals in need. Monthly live drives by B Rock Cares, Midwest Community Federal Credit Union, and the United Way brings in physical and financial donations. Find out more here! 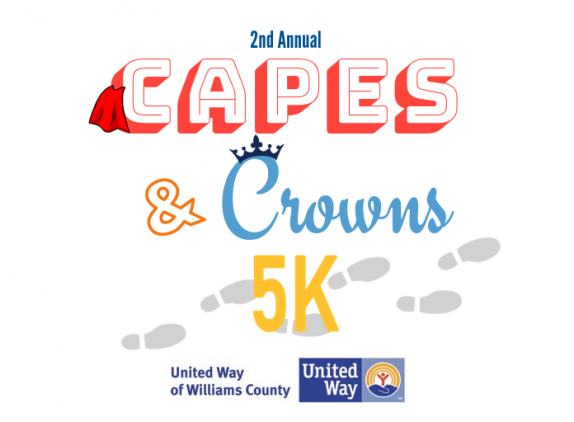 The United Way of Williams County recognizes that activities for kids, including sports, and recreation programs help build self-esteem and teach life skills like teamwork, dedication, and work ethic. The “Let Me Play” fund was established in 2003 to provide player’s fees, uniform costs, or even equipment to children who would like to participate in area recreation programs, but do not have the means to pay the fees. Find out more here! An anonymous farmer in Williams County donates sows and cows to the United Way of Williams County. We take this meat, pay for the processing, and donate it to the area food pantries for distribution to families and individuals in need.